Newbie here.... Can anyone date this Kona? Post subject: Newbie here.... Can anyone date this Kona? Can anyone date this Kona LavaDome that I just won on Ebay? Is it a 96 or 97? And is there a specific way of telling? 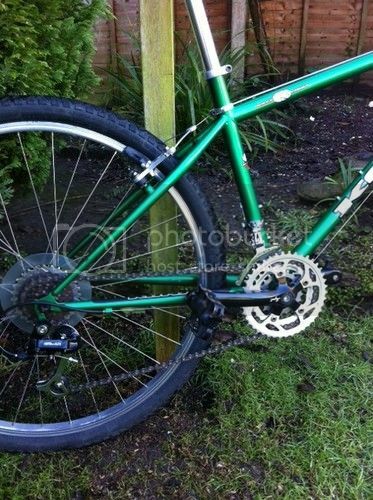 Post subject: Re: Newbie here.... Can anyone date this Kona? Although some of the parts on it are earlier the paint colour does seem 97ish. Perhaps a 97 bike with earlier thumbies fitted? The brakes also look right for 96 or 97. Though the levers do not seem standard for kona. These were probably fitted to go with the thumbies as guess the originals were combined under bar shifters and brake levers. P.s. Look in the "gallery and archive" under manufacturer archive, then go through pages until you find kona archive and have a look at the catalogues. I had this exact model too - still have the forks! I should have spotted the big clue of a black crank and silver rings. 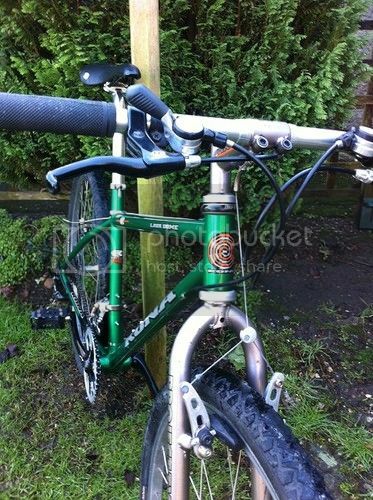 Were those brake levers standard For kona in 1994? Levers !! Either swapped out or maybe mid season change/shortage ? Quite chuffed if its a fully original spec 94. Bit of an impulse buy and my first venture into the retro scene... 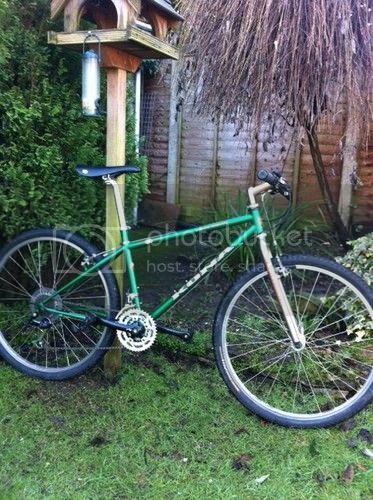 Rode GT back in the 90s but sadly don't have any of my original bikes now... If only i'd known!